Plastic base. 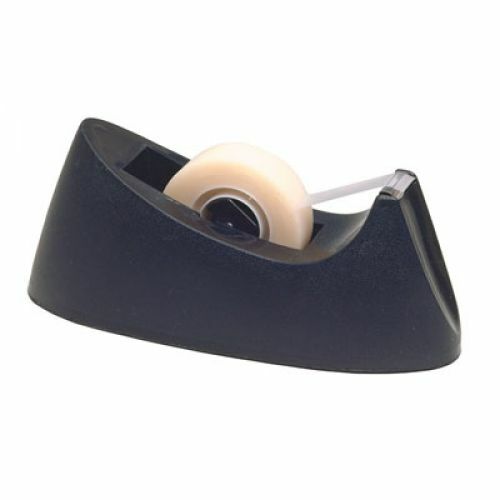 Maximum tape size 3/4" (18mm x 33m) on 1" (24mm) core. Black.